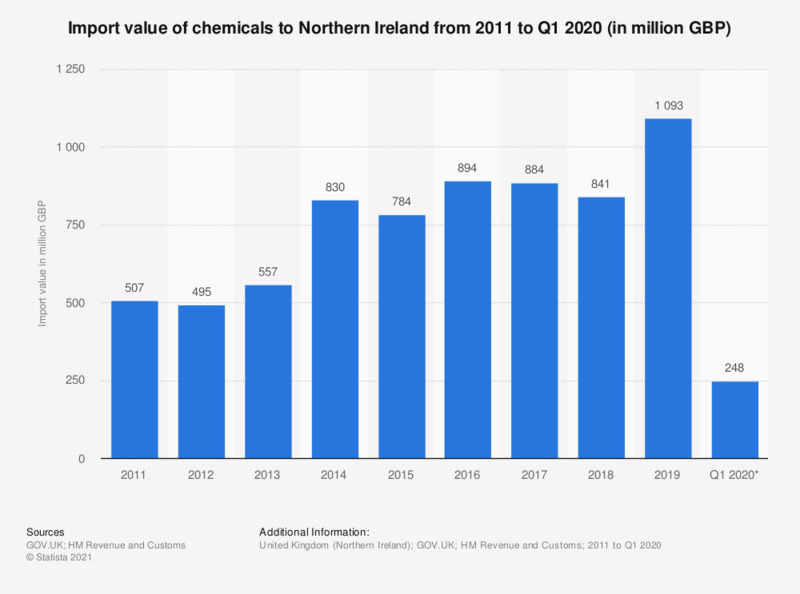 This statistic shows the value of Northern Ireland's chemical imports from 2011 to 2018. Chemical import values experienced a net increase over the period, having shown continuous growth between 2012 and 2016. Chemical import values had a lower number than chemical export values in Northern Ireland throughout the period.